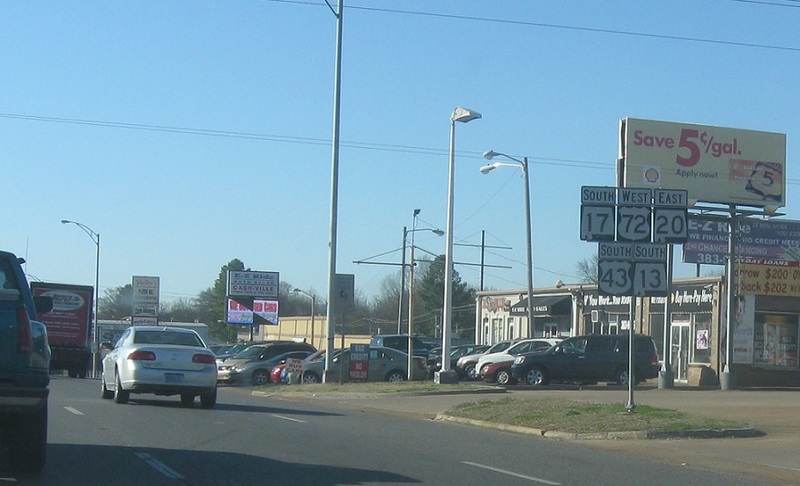 Just after the SR 184 junction, we’ll enter Muscle Shoals. 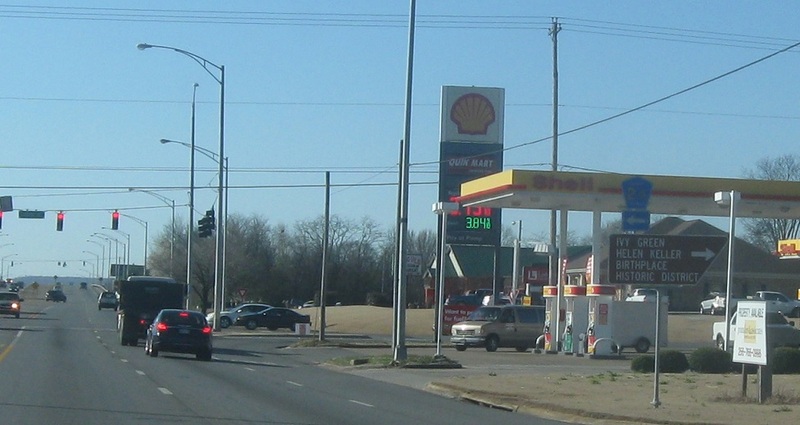 Reassurance shield after SR 184. Turn left for CR 23. Turn right for Helen Keller’s birthplace. Shortly thereafter, we’ll come to a junction with US-72 Alternate and approach the great route split. 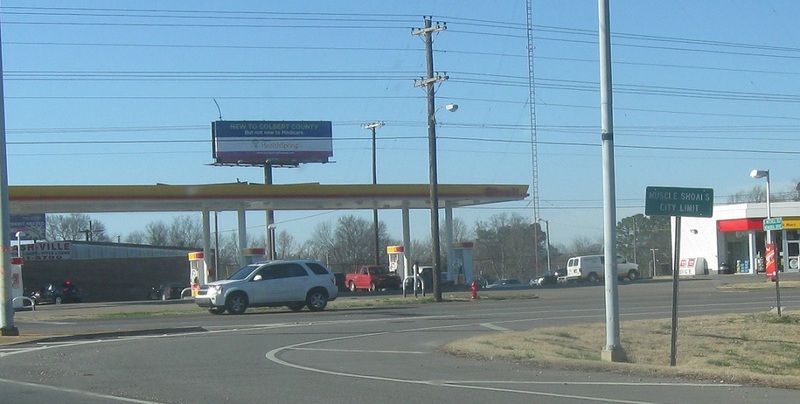 Turn right for US-72/SR 2 west towards Corinth, Miss. 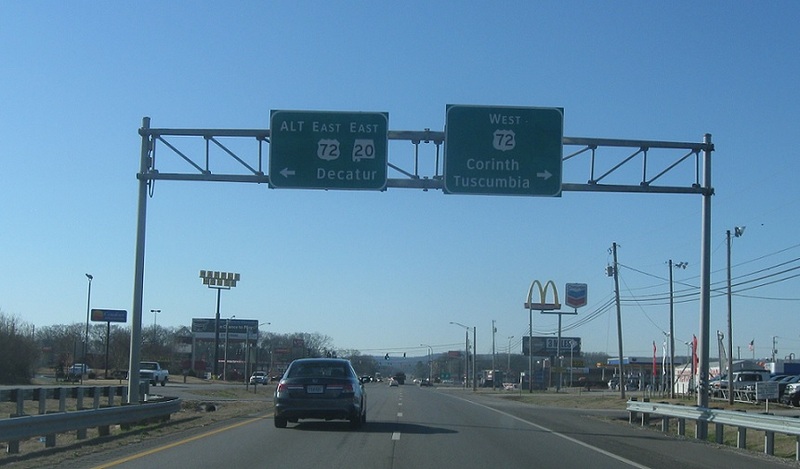 Turn left for US-72 Alt/SR 20 east towards Decatur. 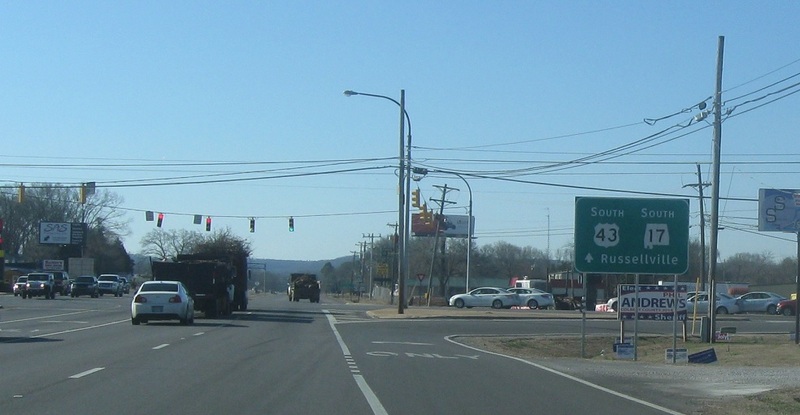 Stay straight for 43/13/17 south towards Russellville.